Disney’s Elena of Avalor is a teenager who has saved her enchanted kingdom from an evil sorceress and now must rule as Crown Princess until she is old enough to be queen. With the help of her family and friends, this princess-in-charge will do her best to rule with bravery, compassion, and grace. 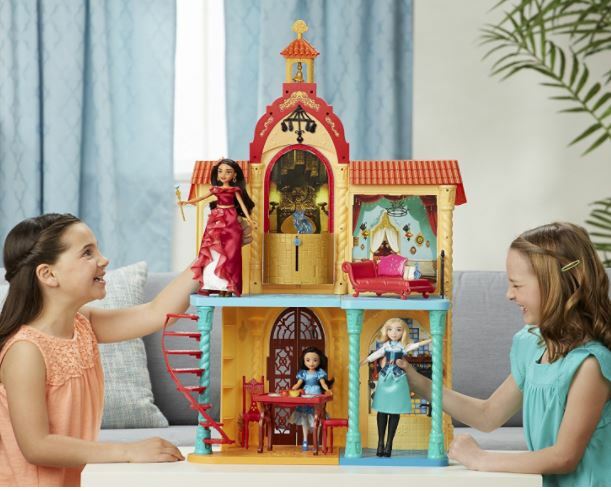 This playset is inspired by the castle in the Elena of Avalor Disney Channel TV series, where Elena lives and gets ready to rule!